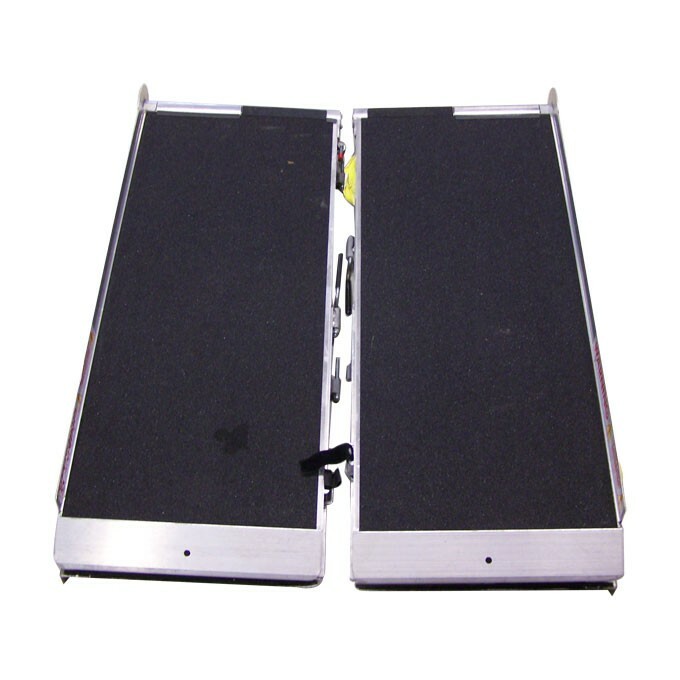 Multi-purpose ramps for scooters or wheelchairs. 6 ft long x 30" wide. Folded size is 38-1/4" x 16" x 9". 600 lb. capacity. Maximum height of steps or platform cannot exceed 12" for safety.